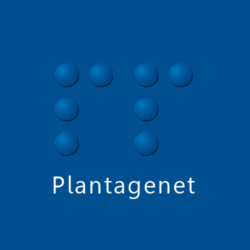 Plantagenet Partners LLP – Summer Budget (2) End of the Party for Non-doms? 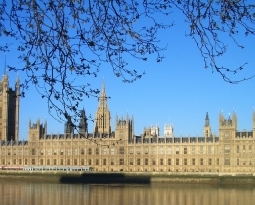 Summer Budget (2) End of the Party for Non-doms? 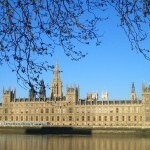 Home / News / Summer Budget (2) End of the Party for Non-doms? Continuing our comments on the summer budget, we now look at the proposals for “Non-doms” generally (the proposals for dealing with UK residential property of Non-doms are worth a separate article in their own right). Those who read our earlier article during the election campaign (“Dodgy Non-doms” 14th April, 2015) will be familiar with the background. For years, people categorised as domiciled in another country (including people who had originated here and then moved “permanently” to another country before coming back to be resident here – the so-called “boomerang Non-doms”) were taxed only on their UK income and on any foreign income “remitted” to this country. When the government finally woke up to how many people were benefitting from this arrangement they decided, as governments do, not to stop the practice but to tax it, by introducing the “Remittance Basis Charge”: a “licence fee” effectively, charging Non-doms £30,000 annually for the privilege of being taxed on this basis. Finding that this raised a bit of revenue and won some votes, the offensive against Non-doms was stepped up with the introduction of “Annual Tax on Enveloped Dwellings” (ATED), CGT for non-residents, denial of the personal allowance to remittance-basis taxpayers and other moves. In the summer budget last month, the government made good on its election promises by stepping up the pressure further. Having previously announced higher “Remittance Basis Charges” for Non-doms who are resident for extended periods of time the government has now announced that, effective from April 2017, anyone who has been resident in the UK in 15 or more of the last 20 years will, for that year and until their status changes, simply be “deemed” domiciled, whatever the strict legal position is. That means that they can no longer use the “remittance basis” and will be subject to income tax on their worldwide income, not just their UK income. People good with figures will have noticed that, with less than two years to go until April 2017, if you have spent the last 15 years resident in the UK and have extensive offshore income, you have been comprehensively ambushed. Is there, then, going to be any “grandfathering” or transitional relief? The government, in the announcement accompanying the budget, says not. The proposals are subject to a consultation, and you can expect advisers of long-term Non-domiciled UK residents to cry foul over this aspect, but it is probably not possible to argue that this is unlawful retrospective taxation, as it only applies from April 2017 going forward, not to any past years. Are there, then, any remaining advantages to being a Non-dom after you have been UK-resident for 15 years? Some, yes. Property settled offshore by a Non-dom into trust (the so-called “excluded property” trusts) remains exempt from Inheritance Tax. There are also still some taxes which will not apply to non-residents, so it is a real possibility that, having cried “wolf” so many times, this time around a number of Non-doms will simply leave the UK and live in one of their other homes around the world, realising gains from their non-UK property before returning here once the 15/20 “clock” has been re-set (a minimum of 5 years) to enjoy the benefits of the remittance basis once again. Holiday in Monaco, anyone? 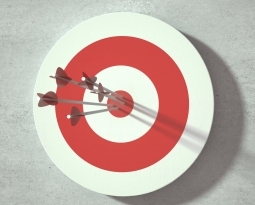 Is Your Property A Tax Target?